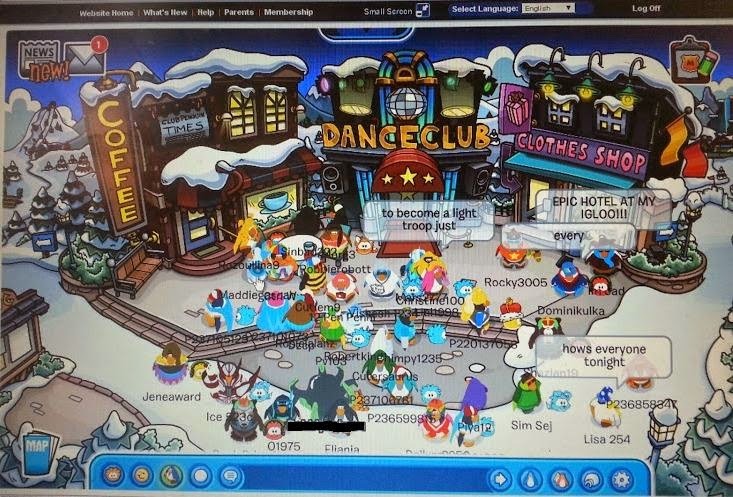 Club Penguin isn't a new thing to me, our teenagers played it when they were younger. They all had accounts and played together and individually, we even bought Club Penguin soft penguins for 2 of them to take to bed. Now it's the turn of my younger ones to have a look. 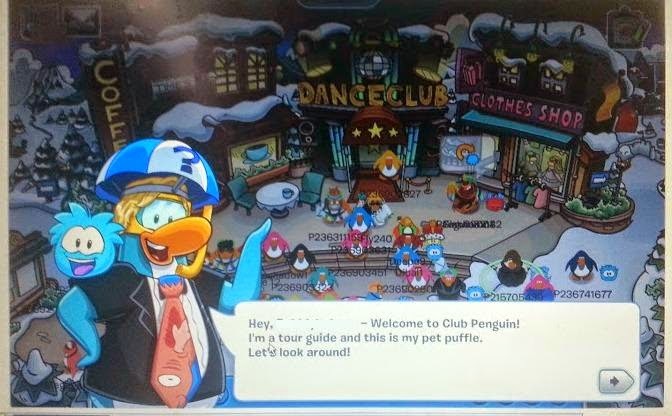 Club Penguin is an online game world aimed at children aged around 6-14. Anyone can set up a free account which gives access to most things, but for all the little extras you can subscribe from £2.50 per month. You can dive straight in, or take a look at the video to find out what it's about - my boys wanted to get started. Everything is done through a parent's email address, and you get regular emails to tell you what your child is up to. Making your penguin is incredibly simple and quick, and you can change it whenever you like if you fancy a different colour. 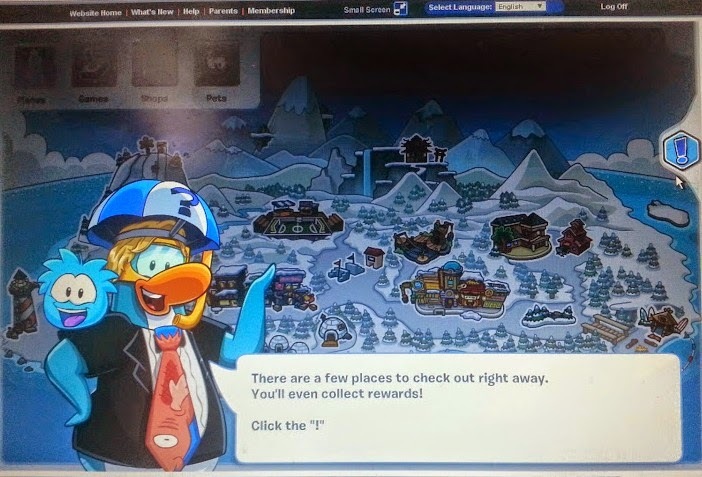 Club Penguin is set in a small village with shops and other buildings for entertainment and sport.You are given loads of useful hints and tips to get you started. 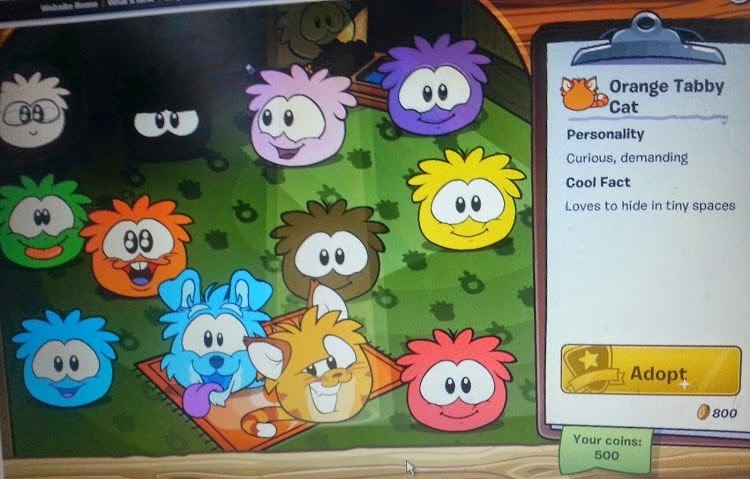 A huge part of Club Penguin is the Puffles. Small furry animals that you can buy in the Pet Shop. Puffles need caring for - grooming, feeding, exercising etc. and if you don't look after them they'll leave and go 'back to the wild'. You can buy multiple Puffles, but only take one out with you at a time. It isn't as bad as it sounds though - Puffles can be left in the garden at home and they'll look after themselves until you return - and won't run away! We were testing a subscribed account, so we had lots of different Puffles available to choose from, with a free account there are less. 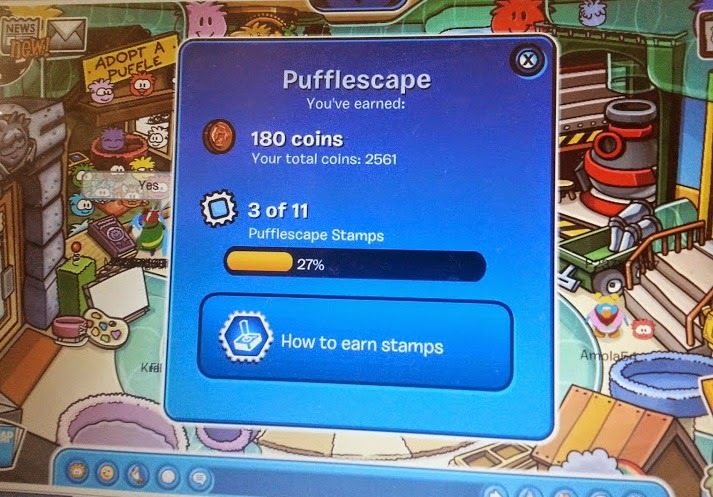 Puffles are bought with coins earned by completing side games and tasks - and you can complete more tasks actually with the Puffles. Some tasks also earn you bonuses like clothing, equipment and household items. Each different building or area on the map has games or tasks to complete, things to buy or do, or areas where you can feed, groom and exercise your Puffles. Some places can be quite busy at times. 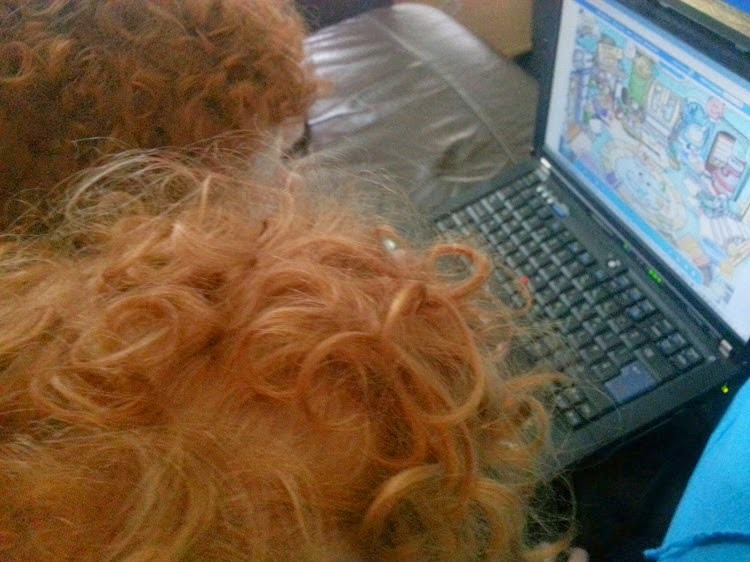 My older children used to play on different computers, meet up and challenge each other to complete tasks more quickly or earn more coins. You can have 'friends', but unless you knew them beforehand, you never know anything about them other than their username, and to talk to each other you can choose settings to only use preset phrases and words, so it would be theoretically impossible for your child to divulge any private information. My teenagers used to be constantly running around the house to tell each other where to meet up or what to do when they were playing online together because it was impossible or much more longwinded online through the chat system. To find out more about how your child is kept safe online while they play Club Penguin click here. Every Penguin has a home - their igloo. 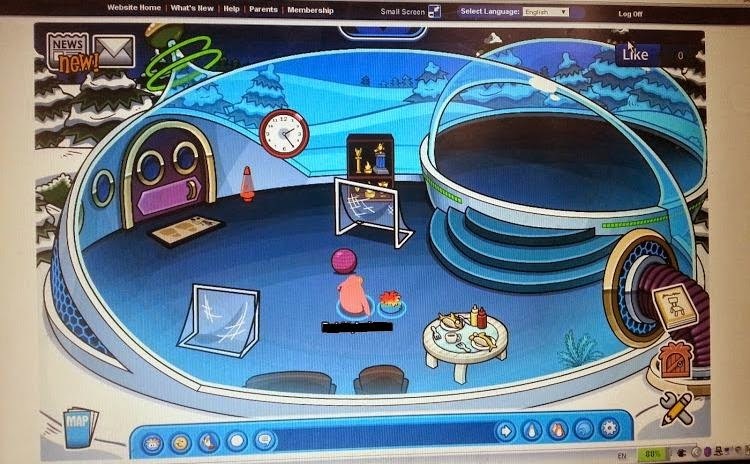 You start with a very basic igloo and can spend coins to buy furniture and upgrade. My son played a few of the 30 games and saved his money because he really wanted to buy the space themed igloo. Games are really simple, and actually very good for helping your child's confidence with a mouse. My 4 and 5 year olds had no problem gaining some coins - although they had a bit of help from the teenagers to build up the total more quickly. Some games are more fun than others, and some allow you to build up coins quite quickly. 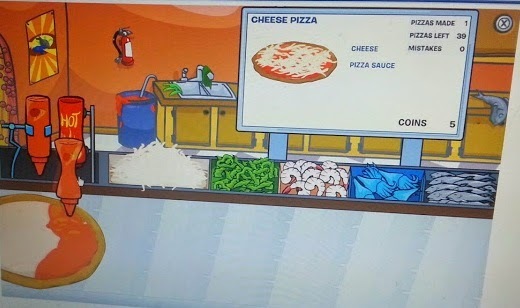 This pizza shop game was one of the simplest, but the points gained weren't worth it in my opinion because after about 10 pizzas it's quite repetitive, although frustratingly quick in later levels. 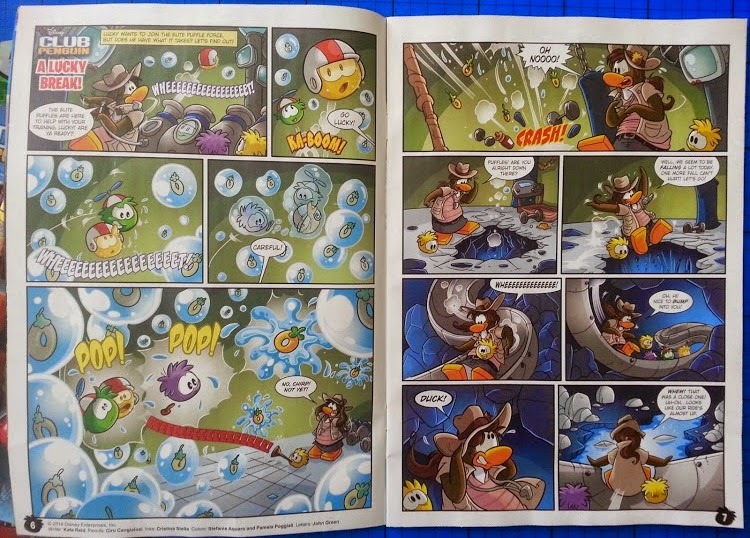 Alongside the online game is a Club Penguin Magazine, and we were sent a copy. 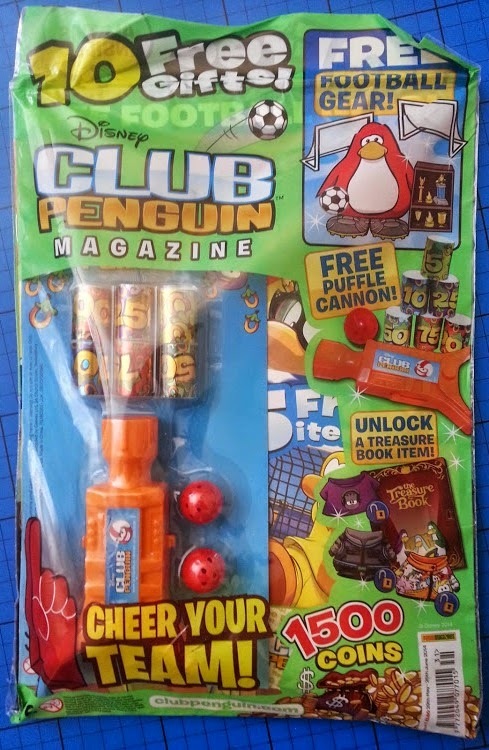 Each magazine costs £3.50 and has loads of free gifts - both for within Club Penguin and in real life. 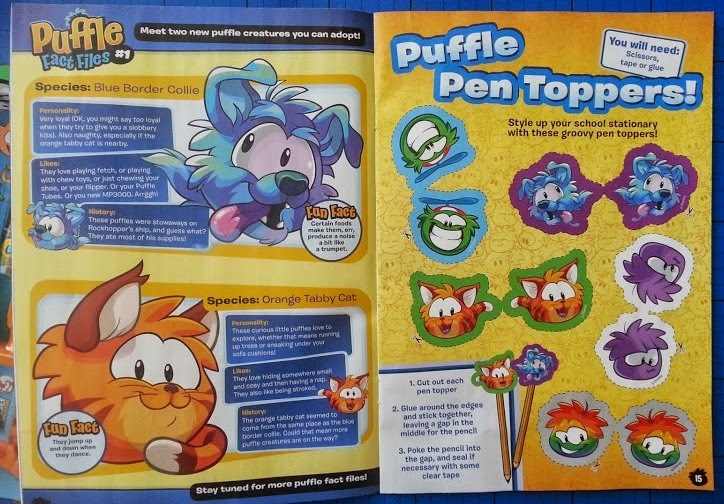 The Club Penguin Magazine actually has a really good amount of varied content. 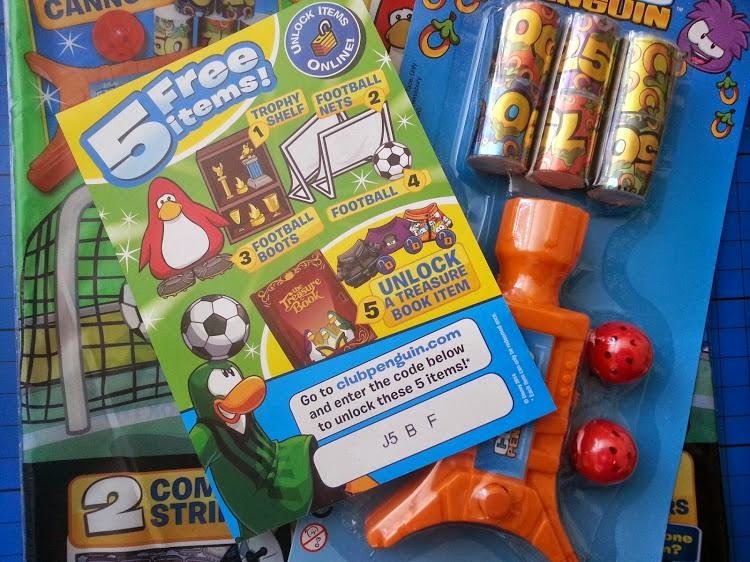 Craft activities, stories and a poster, and loads of puzzles which give you clues to a keyword which will be an online code to earn you extra coins or items. We've been using the internet for a long time now, and I'd like to think we're fairly aware of the risks. 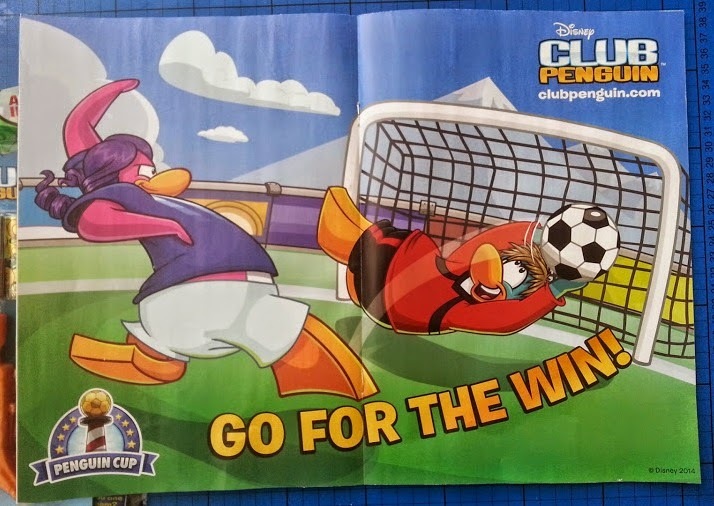 With Club Penguin I have always felt confident my children are safe. They can't take any 'friendships' made inside the game outside, they can't spent any of my money, they can't click onto adverts that take them anywhere else. There's no chance of stumbling upon anything adult or inappropriate, and if any player has issue with any other for bullying or being mean, they can easily report them. Your penguin can't interfere with another, they walk through each other. 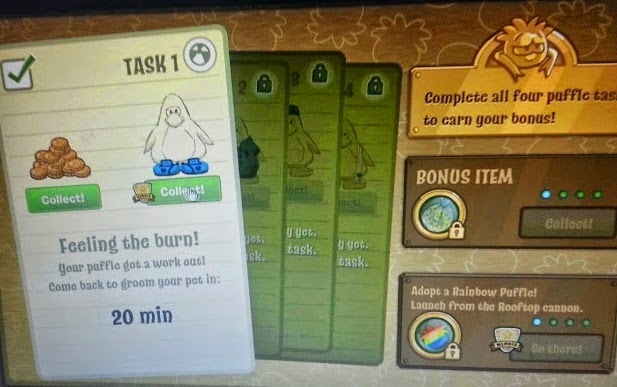 I'm very happy to let my children play Club Penguin, in fact when they want to use the internet I'd now pretty much encourage it because they're learning about caring for pets and using money and working towards goals, rather than mindlessly repeating inane tasks to no end. One of my older children once asked for an annual subscription for their birthday, and that was okay by us because they got so much out of it - and it was money far better spent than on so many more other things that 9 year olds decide they simply must have....for 5 minutes until they get bored. To anyone with a younger child who wishes to use the internet and play games I would, and have, recommended Club Penguin. When it's a sunny day I'd rather they played outside, but if it's raining, I'm happy. This is 2014, all children use computers and they want to interact with their friends online, but they're far too young and immature for Social Media, so this is a good half way point. We were given 1 month's subscription and 1 magazine in return for our review. 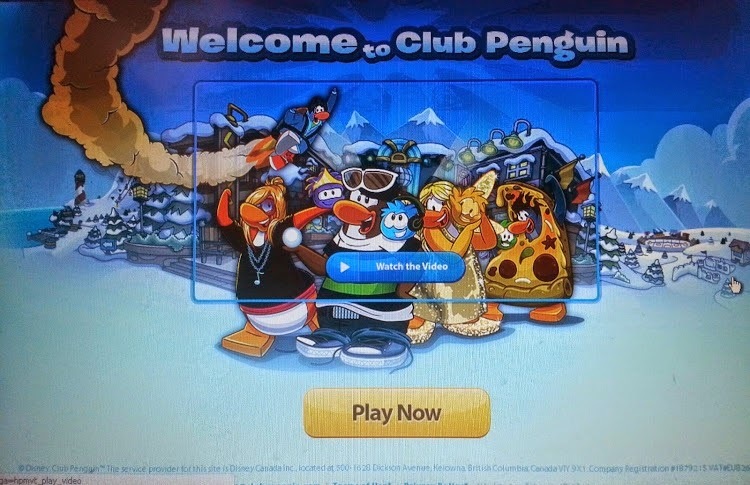 I have heard of Club Penguin but didn't really know much about it - I assumed it was something that would end up costing lots of money for the premium aspects. I might look into this for E, he loves playing games on the computer and I think this is something he would really get into and enjoy. I'll be honest, I didn't realise it was this safe. I have always stayed clear as I thought ti was an interaction game and was worried about 7yo chatting to strangers. my son been playing with it but i have no clue what are they! great review. Thanks Eileen - but you're very naughty. You really SHOULD be paying attention to what your child is playing online. Consider yourself told off. Yes, the game is completely safe. The chat uses a whitelist instead of a blacklist, meaning that there is a list of safe words instead of a list of blocked words. 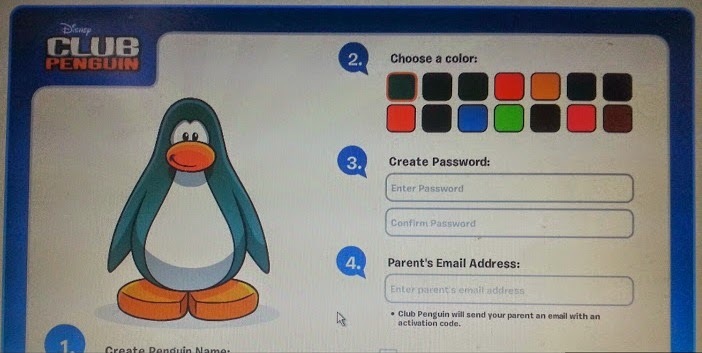 You can even go further as to put your child on "Ultimate Safe Chat", which will block out all chat that isn't in Club Penguin's "Phrases" section. The biggest danger may be when your child is having an issue with the game (not much of a danger at all). 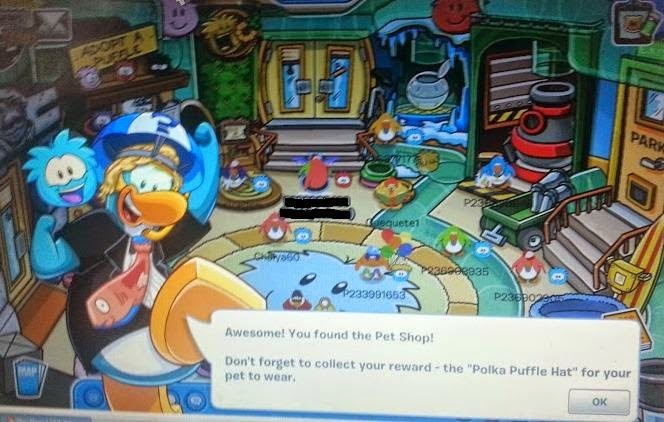 Often times what kids will do is Google answers for their problems by looking up something such as "Club Penguin cheats" and will stumble upon a slew of websites. There are some penguins who manage to sneak through the chat system and ask other penguins out on "dates" or out to "proms". There are also some bad CP elements hanging around on Twitter and Facebook, so you should ask your child often "what did you do in Club Penguin today?" but not often enough that it becomes creepy. I totally agree - definitely casual chat about online behaviour and all behaviour actually should be a pretty much daily thing. You should certainly always be aware of what your child is doing online. We only let younger children use the PC in the living room or where we are, and none are allowed any Social Media until they've been at High School a while. That has worked well for us - with 5 teenagers we've only ever had to discipline twice so far.